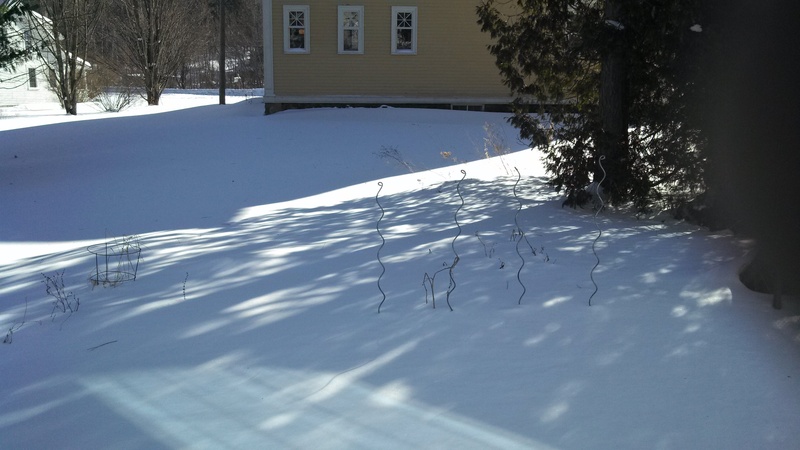 This is how my garden looks today, buried in approximately a foot of snow. You can’t see it, but there are three raised beds for vegetables, a semi-circular area for wildflowers and rhubarb, and two long borders that contain peonies, sorrel, oregano, bee balm (monarda), chives, and a burst of bright orange lilies. I made my first forward-thinking gardening step yesterday, by placing an order at Fedco for seeds. Below is my order. There are a few items that I’ll have to buy in person somewhere. In the meantime, I make my plans–which seeds I’ll start inside, when (roughly), I’ll plant the cool weather crops like peas and spinach outside (probably mid-April), and where to place the various plants and seeds in relation to each other.